Here you can find a strain description about Malana L HP and also some user-based reviews and infos directly from the SeedFinder (if available). 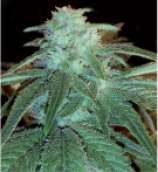 You can also find the offers and auctions here if Malana L HP cannabis seeds are on stock at MyCannapot right now. Our best hashplant Original Malana (Malana Hasplant landrace x Afghan #1 pre 1998) crossed with Ohio Lemon G. Lemon/Hash taste and aroma. Perfect for any extractions. Malana L HP is not available at our shop at the moment!